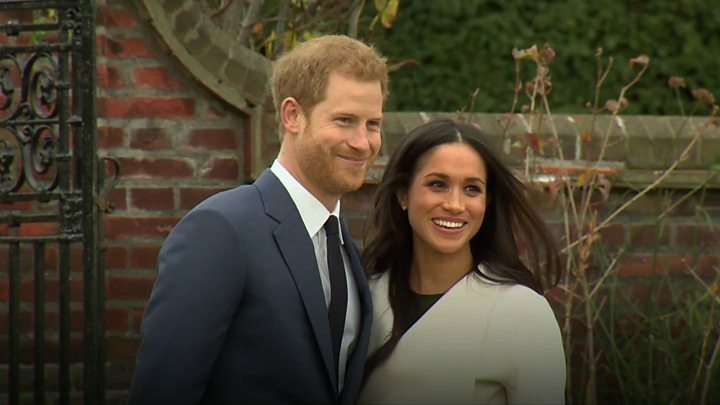 More than 1,000 members of the public have been invited to the grounds of Windsor Castle for Prince Harry and Meghan Markle's wedding. Those present will be able to watch the arrival and departure of the bride and groom, Kensington Palace has said. In total, 2,640 people will be given access to the grounds for the wedding on 19 May. A statement from Kensington Palace said Ms Markle and Prince Harry wanted "members of the public to feel part of the celebrations too". It added: "This wedding, like all weddings, will be a moment of fun and joy that will reflect the characters and values of the bride and groom." The full list of those invited to the grounds includes 1,200 members of the public from a broad range of ages and backgrounds, 200 people from charities, 610 Windsor Castle community members, 530 people from the royal households and the Crown Estate and 100 local school children. Which celebrities will be invited to the royal wedding? Ms Markle will join the Queen at an official event for the first time when she attends a Westminster Abbey service to mark Commonwealth Day on 12 March. The Prince of Wales, Duchess of Cornwall, Duke and Duchess of Cambridge, and Prince Harry will also be there. However, the Duke of Edinburgh, who has retired from official duty, will not be attending. 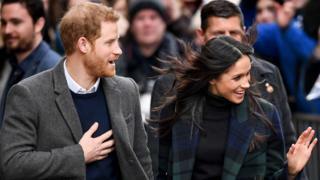 Ms Markle and the prince will marry at St George's Chapel, Windsor Castle at midday on 19 May. At 13:00 GMT they will travel through Windsor in Berkshire in a carriage. Members of the public lucky enough to be invited will watch the arrivals of the bride, groom and wedding guests as well as the carriage procession as it departs from the castle after the service. The palace confirmed last month that the Archbishop of Canterbury, Justin Welby, would marry the prince and Ms Markle. The chapel holds about 800 people, making it a more intimate setting than the Duke and Duchess of Cambridge's wedding at Westminster Abbey. Following the marriage service, a carriage procession will travel along a route including Castle Hill, High Street, Sheet Street, Kings Road, Albert Road, Long Walk and back to Windsor Castle. The couple will return to a reception for guests from the congregation at St George's Hall. Prince Charles will give a private evening reception for the couple and close friends and family.